All feature living room, dining and connecting to kitchen area with fully equipped. A spacious bathroom with a glass wall separate shower area. The peaceful bedroom is in the back side. We offer king size bed or twin bed. Feature a double private balcony, separate bedroom, living room, dining and kitchen area. Also offer with fully equipped. The ensuite bathroom with a separate shower area and toilet. Welcome to Happy Eight – Resort Phuket. 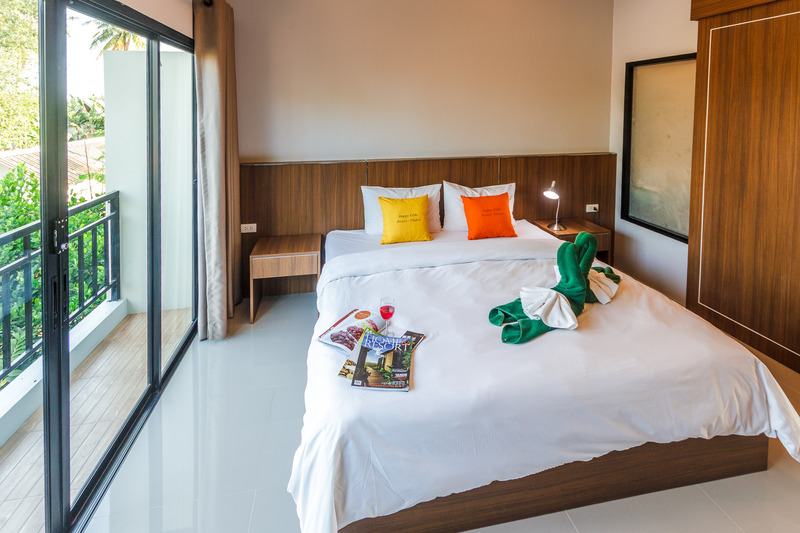 Happy Eight – Resort is situated on Naiharn – Rawai beach area, south of Phuket island. Our concept is we would like to offer our guests an extraordinary place by created a unique interior and exterior design and peaceful location. We believe that if you have a special time with lover or family.